I feel like each year once the month of October hits, the real fun begins for the season. 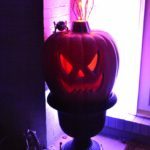 We decorate our house for Halloween, make yummy Halloween treats, watch ALL the Halloween movies, we start planning our Halloween costumes and buying (and trying not to eat) Halloween candy…it’s such a great month! And meanwhile there’s the apple orchards, the pumpkin carving, the haunted houses and the apple cider….it’s our favorite time of the year. We also celebrate two birthdays in our household within 2 days of Halloween! 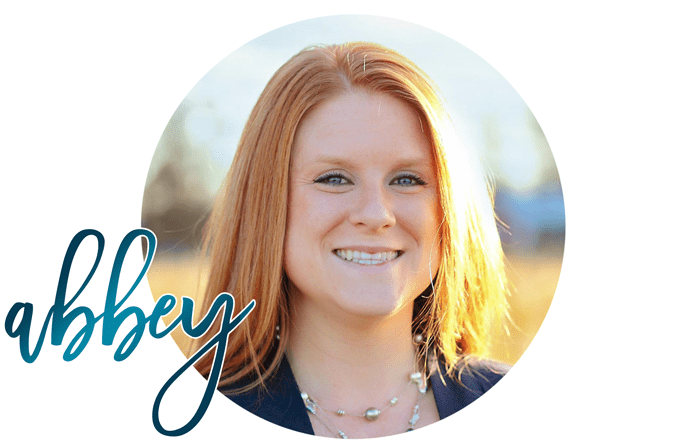 It’s a crazy month!! 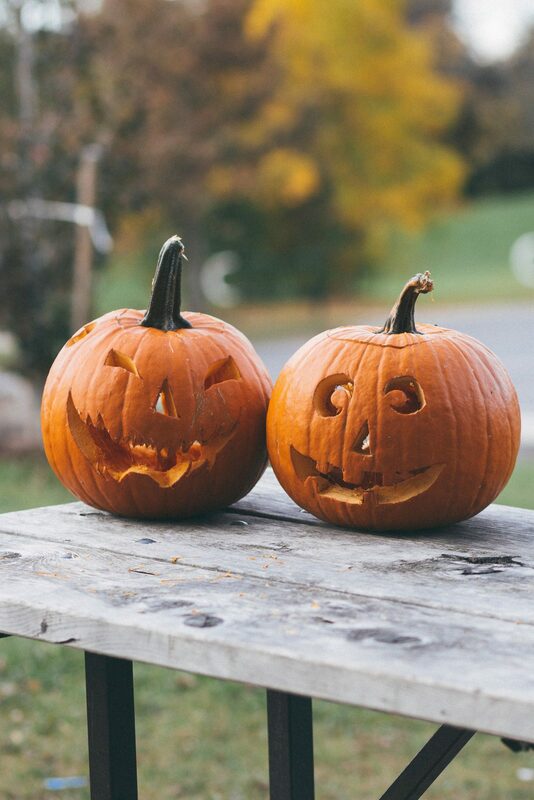 Halloween also comes with its own set of safety concerns too and Erie Insurance has Halloween Safety Tips to share with you and your family to help prepare your house for trick-or-treat time and help keep everyone safe. Clear the walkways. Toys, rakes, errant stones—clear them all out of the way before trick- or-treating starts. 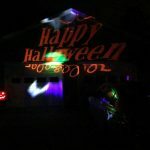 Rid your sidewalk of any stray Halloween decor that may trip trick-or-treaters as they enter and exit. Light it up. 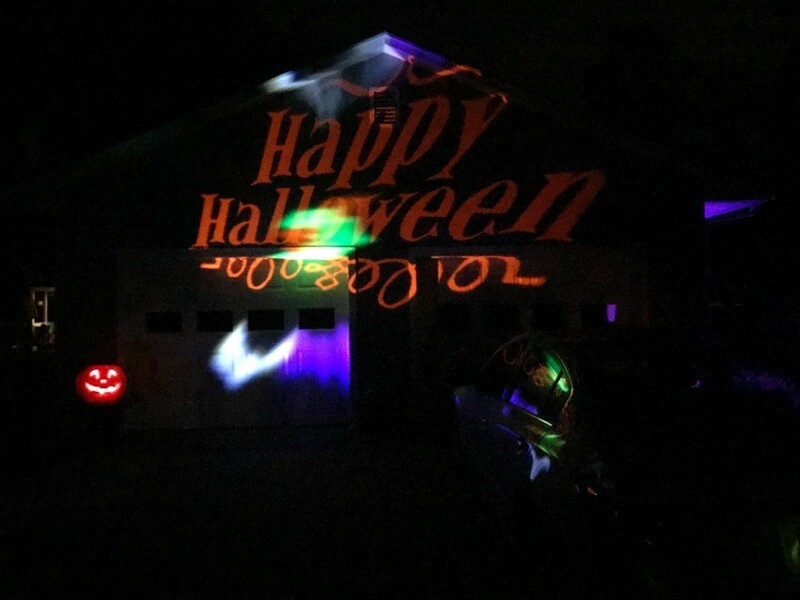 Turn on your exterior lights, including any flood lights, to help create a safe path for trick-or-treaters. 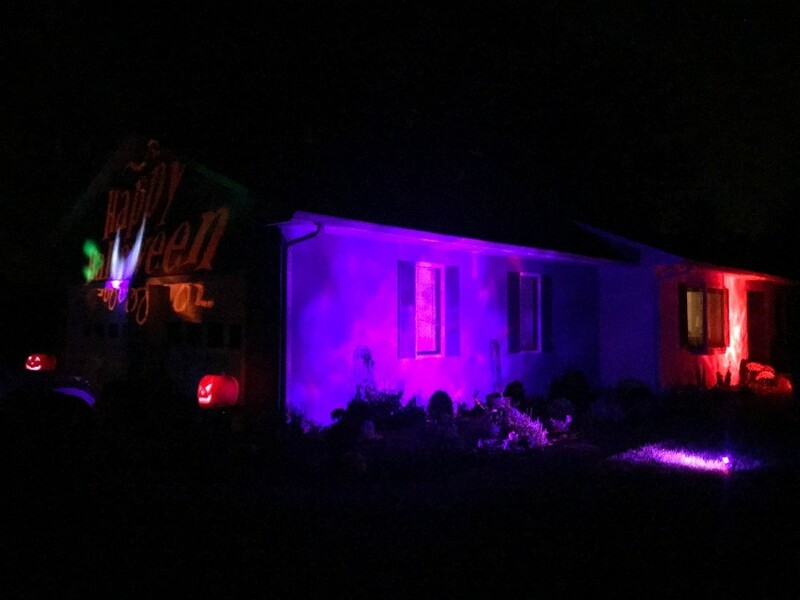 We like to decorate our house and put out fun lights to make it extra fun for trick-or-treaters and passerbys (it’s much brighter in person than shown below). Lock all other doors. 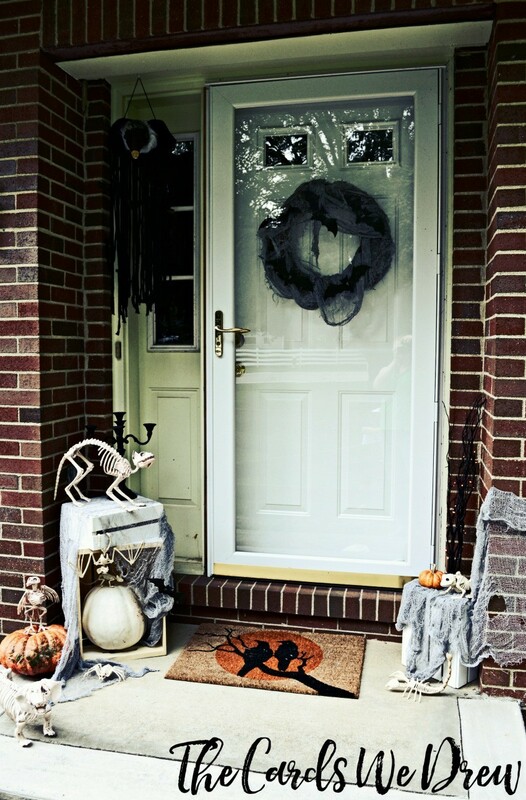 Mischief can happen when you’re doling out candy, so play it safe by locking all of your house’s doors. Also lock your car doors. Skip candles. 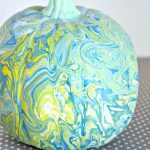 Yes, they make your pumpkins look cool. But it’s not worth the fire risk when you consider all the draping costumes and accessories that will whiz by the flame. Consider battery operated lights instead. Think about the best place to hand out candy. 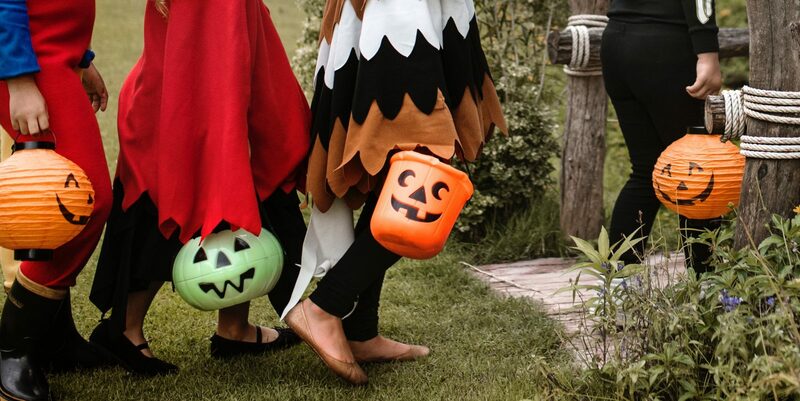 If you have a lot of stairs or a long, winding path, it might be a better idea to hand out candy in your driveway. Sitting this Halloween out? If so, leave your interior lights on anyway to dissuade potential thieves. And skip the unsupervised candy bowl — someone could taint the candy if you aren’t around. And, don’t forget about making sure costumes are safe! A trip-resistant hem. 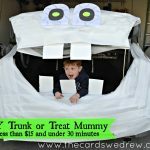 Have kids take a test run in their costumes, and shorten any that might cause them to trip. Also make sure they have enough room in there to move freely. Comfortable shoes. 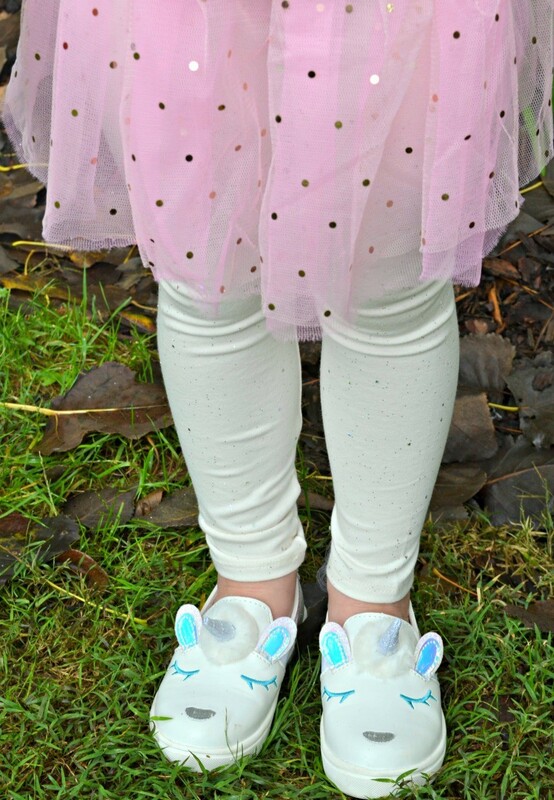 Prevent injuries by letting comfort, not cuteness, win the day. Flexible props. Make sure any swords or other props are made of soft plastic or rubber that bends. Flame-resistant costumes, wigs and accessories. Check the labels to find out for sure. A flashlight with fresh batteries. Winter’s coming, and it gets dark early this time of year. Make sure to have a flashlight on hand to illuminate the way. Have any tips we left off? Leave them in the comments below and let me know what your kids are dressing up as for Halloween this year!